Pixelscopic [ pik sel skap ik ] means that every aspect of our work reflects a love of the smallest nuances of the digital medium. Founded on the principles of developing games and user experiences of impeccable quality, we craft otherworldly experiences with passion for subtle aesthetic detail and creative ambitions as expansive as our imaginations. With over 30 shipped titles combined, our experienced team of visionaries forge pathways that drive toward contemporary game design on multiple platforms, while gazing back at the wonders of our shared gaming past. Whether we are expounding epic lore or rewarding simple successes, we want our games to take root deep in the imaginative hearts of our fans. Pixelscopic uses a proprietary C++ game engine for efficient multi-platform game development. Designed primarily as a 2D game engine, it is built around modern graphics technology using hardware acceleration to produce vivid and pixel-perfect rendering at resolutions up to 2560 x 1600. The engine uses DirectX on Windows and OpenGL on Mac OSX and iOS, and uses PortAudio for high quality sound. The asset pipeline for the Engine centers around a group of proprietary tools for generating optimized texture atlases, multi-part animations with keyframe interpolation, and scene layouts. The hierarchical scene system provides designers and artists with maximum flexibility and allows for extremely rapid development of content and run time editing of scene and data files. The current roadmap for the engine is supporting Android and Linux and refining and expanding the tools. 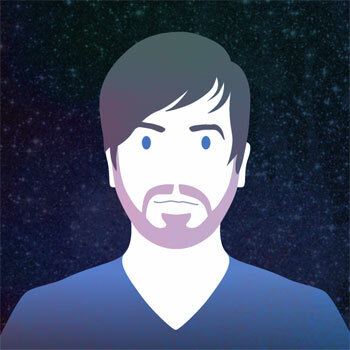 Ryan (aka “Baker”) is the creative leader behind the company’s conceptual and aesthetic vision, and was a graphic designer and painter before he moved to game development. He started as a pixel artist and sprite animator at his former employer before rising to the roles of Lead Artist, Lead Designer, Art Director, and Creative Director on a number of projects. Going independent in 2010, he shortly thereafter teamed up with Coby to found Pixeslcopic with his experience in game direction and project management, and his passion for artistry. 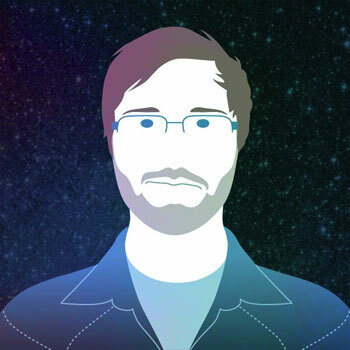 Ryan’s constant goal is to design nuanced yet tightly constructed and edited games, and to expand Pixelscopic’s artistic process with techniques from his background in fine art and illustration, graphic design, and traditional animation. Ryan continues to grow his large and varied archive of games and gaming ephemera, plays the drums and dabbles in guitar, and is also our resident spreadsheet wizard. 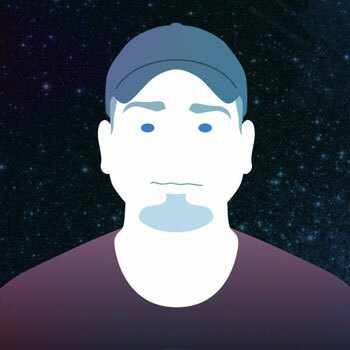 Ryan (aka “Burrell”) serves as a jack-of-all-trades contributing in the areas of game design, visual production, user interfaces, scripting, and level design. He is also Pixelscopic’s resident web technology expert and manages our social media communications. Ryan has occupied a variety of different roles throughout his career ranging from technical support specialist, to developer, to graphic designer, and has worked in industries ranging from ISPs and e-commerce to boutique design and branding. He joined the Pixelscopic team in early 2011 and cut his teeth on their first Nintendo DS project. Ryan strives to stay abreast of current trends and methodologies in the tech and entertainment sectors and maintains eclectic gaming interests. He still makes it a point to play with LEGOs in his free time and can be found most Friday nights fumbling through a D&D 3.5 session — these two activities often occurring at the same time. Coby manages the long term technology vision for Pixelscopic and oversees business development and administration. He spent several years as a Lead Programmer and later Programming Director at another game company before going independent. He worked on an original casual game while living in Mexico in 2009, and returned to the U.S. to start Pixelscopic in 2010. Coby has a strong interest in entrepreneurial experimentation and is driven by a fast, flexible, and user-friendly approach to game technology. On a daily basis he is the driving force for both our company’s cross-platform engine and our gameplay programming foundations. He remains active on independent game development forums, keeps an eye out for interesting indie RPGs, and has dreams of rebuilding his SNES collection.